Do you need a music manager? The music industry is not nearly as straightforward as it used to be not too long ago. The number of factors that can help determine whether you succeed or fail continues to grow. In order to regain control over their destiny, many upcoming musicians are tempted to hire professional managers. However, the answer to whether you actually need a music manager depends on a number of factors and so it should not be rushed into. Before you go on to determine whether you need a music manager, you should first understand what exactly a music manager does. They are responsible for handling all professional aspects of the music industry and handling all the business duties of a band or a musician. Managers generally serve the function of advisers for musicians, and help them make important professional and personal decisions that may affect their position in the industry. The main question that arises is whether you need a music manager. You should take into account in order to determine whether you need a music manager is whether you just don’t have enough time to juggle making music, booking gigs, dealing with clients and pleasing fans. If you find yourself busy for most of the day, you probably need the able assistance of a music manager. Since managers take care of the business aspect of your career, you can focus on creating high-quality music and making a good impression with each performance. Another thing that should be considered before you decide whether you need a music manager is the cost factor. Are you earning an income to support yourself as well as pay for an expensive employee? If so, you should definitely get a music manager. If you are able to find a competent person to do the job for you, you’ll make up on the extra costs in no time. However, if your music has not started producing an income just yet, you’re probably best off keeping your expenses to a bare minimum and handling your music business on your own. 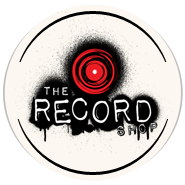 http://therecordshopnashville.com/wp-content/uploads/2018/10/nashville-recording-studio.png 0 0 The Record Shop http://therecordshopnashville.com/wp-content/uploads/2018/10/nashville-recording-studio.png The Record Shop2013-08-01 06:47:122013-08-01 06:47:12Do you need a music manager?